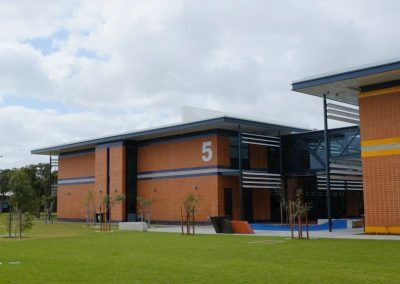 Parry & Rosenthal Architects were appointed to design the redevelopment of the Halls Head Community College located in Western Australia. 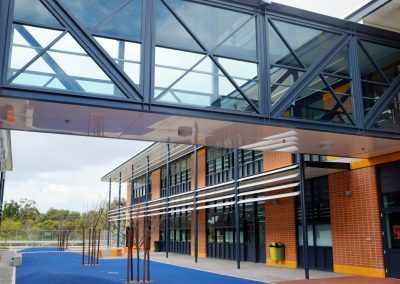 As seen in the images, steel framing has been incorporated into the roof and veranda structures, with feature brickwork to provide a building façade that is attractive and enduring for this type of environment. 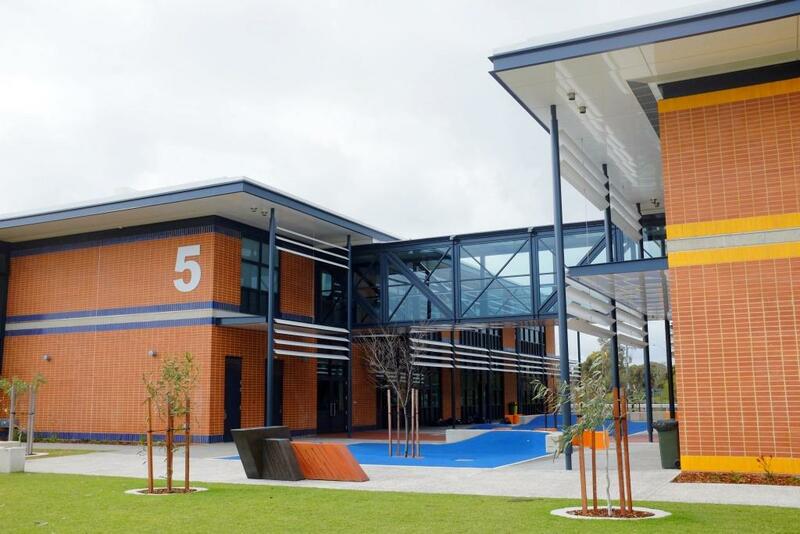 The redevelopment of the Community College will be completed in stages so the buildings can be aligned with the existing school structure and provide the necessary facilities in accordance with the proposed growth in future student numbers. 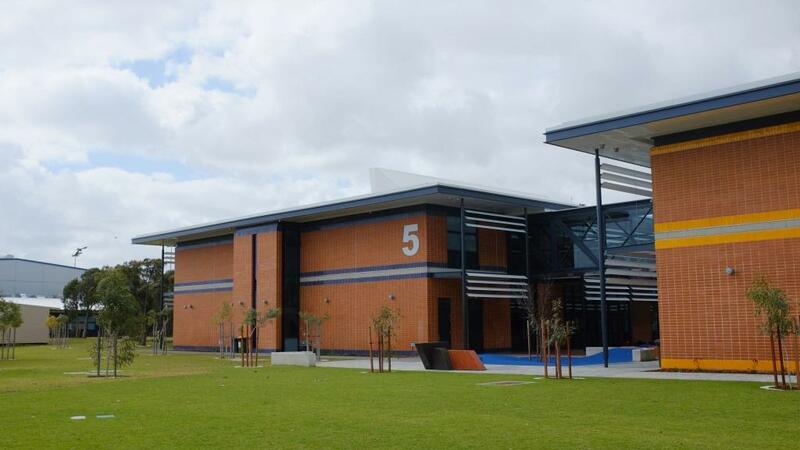 The coordination of the project was an important consideration due to the close proximity of the operating school. Breezway Altair Louvre Windows have been integrated into the building to assist with natural ventilation. 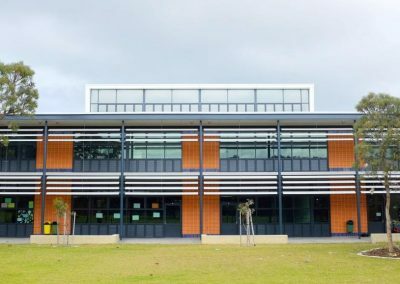 By incorporating louvre windows into classroom designs, energy costs can be significantly reduced as fresh air can flow in to improve occupant comfort and increase learning outcomes without the need for air conditioning. 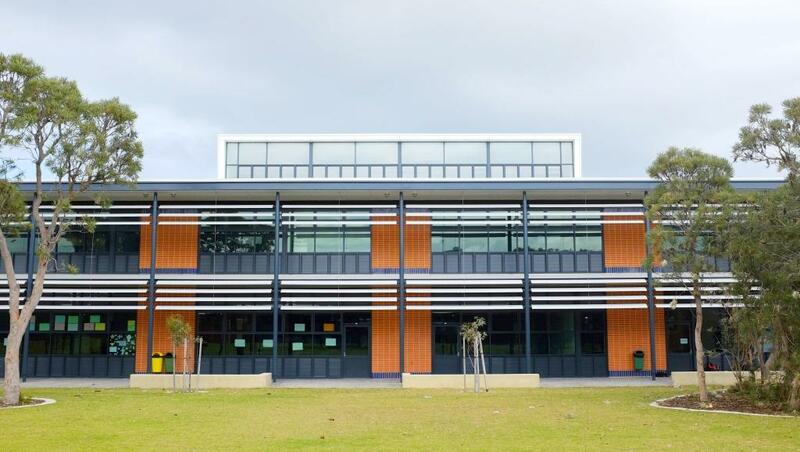 Altair Louvres with the Stronghold System were specified into this particular application where windows require fall prevention, extra strength and security to keep occupants safe. 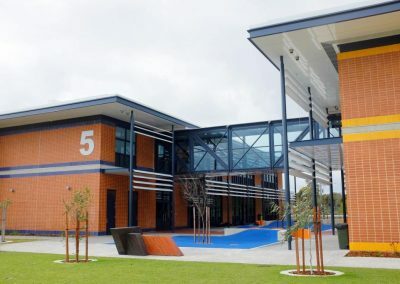 The Community College redevelopment as a whole includes new single and two storey classroom blocks, an extension and refurbishment of existing blocks as well as various work done to car parks, sports courts and landscaping.